If you are a book lover and don't have enough money to buy books. We have a solution for you! We have all had the need to download books such as academic books or the best sagas of all time. Thanks to the massification of libraries and online sites, finding desired books is becoming easier. We have selected the 5 best pages where you can read and download thousands of free and legal online books. It's an excellent web site that compile all books that are classified as free from Amazon to Kindle. You just have to register in Amazon and you can download ebooks completely free and legal. ManyBooks has a variety of free books. You can find hundreds of books in different interesting genres completely free. There is thousands of books available. Don't lose the opportunity to fill up your e-reader. A non-profit website, where you will find over 8 million books online and free. All the material you can visualize it or even download it in different formats, free of charge and legally. This is one of the best sites to download free books. With over 30,000 downloadable books available in various formats. Search by author name, language, subject or title. 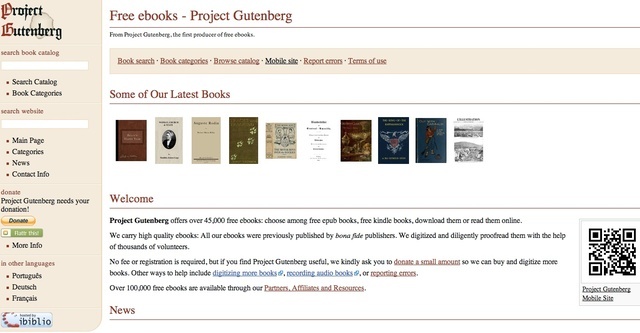 Project Gutenberg has books in English and other languages available. This web site has to you hundreds of books, you only need to register to access to have access to the entire list of free books. You can find fiction books, romance, science and more in different formats to for download. Enjoy the wide variety of books that Free eBooks offers to you.